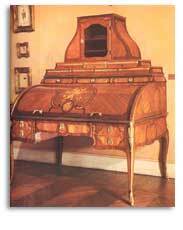 A French Teune member who was a fantastic furniture-maker, but does he belong to the family ...........? "I am Angie Barth and live in Paris. 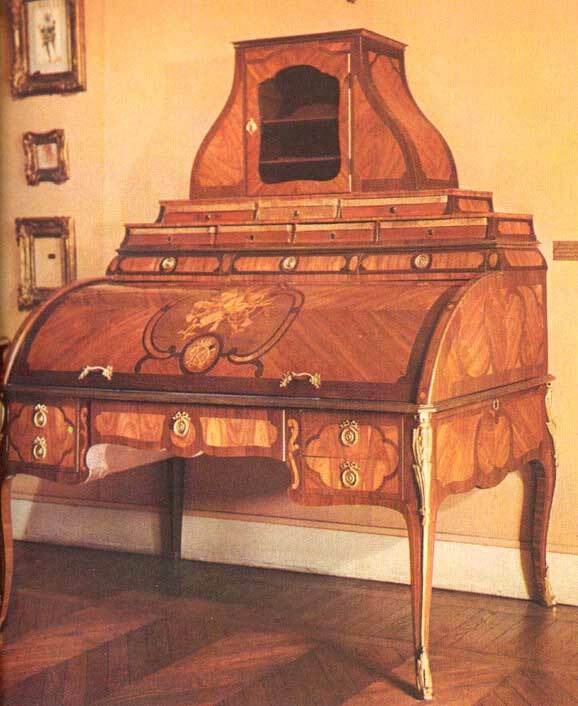 I restaurate a cylinderbureau that is made round 1770 by François Gaspard TEUNE. I also have to do a historical research, so I'm busy with searching in the archives of Paris. François Gaspard TEUNE is born in 1726 in Hirschberg in Germany. His parents were Germain TEUNE, carpenter and Elisabeth GUNTER. François Gaspard TEUNE marries May 8 1757 with Marie Geneviève PERRIER in Paris. - François Augustin, burried 1794. François Gaspard TEUNE is Maitre ébéniste (furnituremaker accepted by the corporation) in May 1766. He works for example for le comte d'Artois, brother of King Louis XVI. He disappears from the corporation registers around 1788." Does François Gaspard belong to our TEUNE family? and that he was born in 1726 in Hirschberg in Germany. Germain should be the french name for Hermann. Who can give me more information about the forfathers of these Teune's? June 17th in Monaco by prestigious company Of Christie. It's about an office(desk) roll of time Louis XV stamped by François Gaspard TEUNE, realized towards 1770. This detail, estimated between 300 000 and 500 000 F is classified ancient memorial and cannot be exported. Also presented during this vacation, a statue representing Louis XIV by Martin van den Bogaert, says Desjardins, realized near 1680. This terracotta on pedestal of wood painted in false marble is 90 cm high. Considered between 700 000 and 1 000 000 F, it is also classified ancient memorial, forbidden the export. Desjardins, native of Breda, made his learning in Antwerp before coming in France and marrying the niece of the architect Mansart. His work was so appreciated by king that this one ennobled the descent. Sale in the Hotel Metropolis luxury hotel of Monaco on Saturday, June 17th at 3 pm. where I searched for the word Teune and did find one other furniturepeace he made. Paris, the Decorative arts Museum. Search 500 Million Names at Ancestry.com!